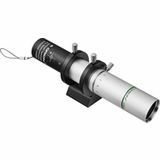 Compact 50mm guide scope makes it easy to add accuracy to astrophotographs. 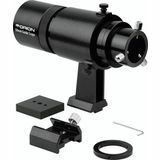 Includes Mini 50mm Guide Scope, adjustable bracket, dovetail mounting base, adapter plate, and more. 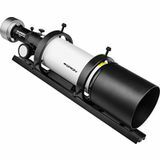 For use with astrophotography telescopes up to 1500mm focal length. Compact, all-in-one autoguiding solution with everything you need to optimize astrophotography accuracy. 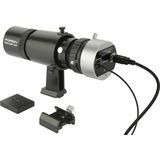 Includes Mini 50mm guide scope, StarShoot AutoGuider, adjustable bracket, and more. 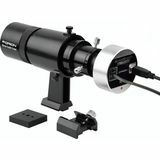 Works with photographic telescopes up to 1500mm focal length. 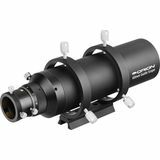 With our Deluxe Mini 50mm Guide Scope with Helical Focuser and StarShoot AutoGuider included, this Orion Magnificent Mini Deluxe AutoGuider Package comes with everything you need to add autoguiding precision to your astrophotographic pursuits! 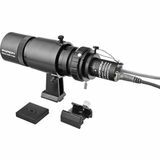 Designed for use with imaging telescopes up to 1500mm in focal length, this complete autoguiding package is easy to install and includes everything you need to ensure precise tracking performance for optimal astrophotography results. 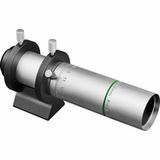 The Multi-Use Guide Scope has a large, 60mm aperture lens for better light-gathering than 50mm and smaller models. 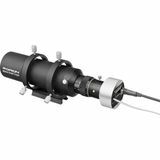 Features a built-in helical focuser for precise focusing of potential guide stars. 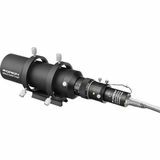 This complete autoguiding package includes the award-winning Orion StarShoot AutoGuider and the versatile 60mm Multi-Use Guide Scope with Helical Focuser - everything you need to enjoy the benefits of autoguided tracking accuracy. 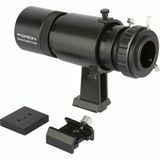 With the included StarShoot AutoGuider Pro Mono and Orion 60mm Multi-Use Guide Scope with Helical Focuser included, this complete autoguiding solution package makes it easy to add the accuracy of guided tracking to any astrophotography setup.